Hello everyone! Today I'm sharing a Christmas card that I posted over on The Greeting Farm Blog. These sweet little deer are from the Dashing stamp set. I colored the deer with copics and then used the coordinating dies to diecut them. I sponged distress inks onto Bristol card and flicked water with a paintbrush to create some lighter spots. I diecut some snow drifts and sponged on some distress inks. I diecut some trees, applied watercolors, and then flicked white acrylic paint for some snow. I applied Nuvo Glitter Drops to the little stars so they sparkle. I used a black glaze pen on the eyes and noses, and then adhered everything with foam tape for dimension. Good morning! 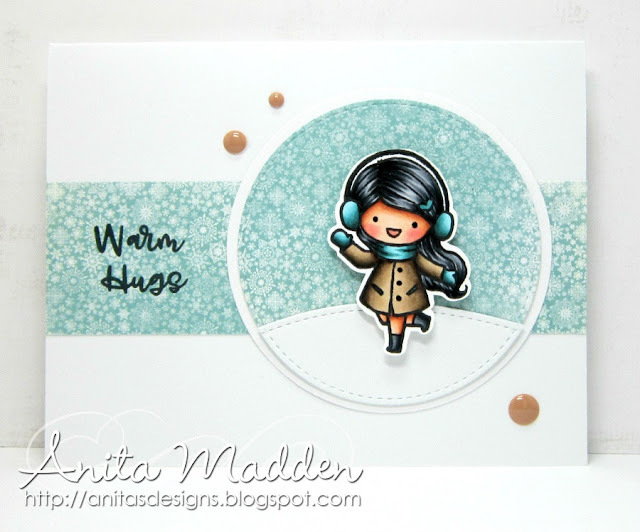 Today I'm sharing a card I made using a stamp by Gerda Steiner Designs. I bought this cute stamp set last year and I'm just now finding time to play with it. This set is Christmas Puppies and there are several adorable puppy images included in the set. I colored the image with copics and then used my Scan N Cut to cut out the image. 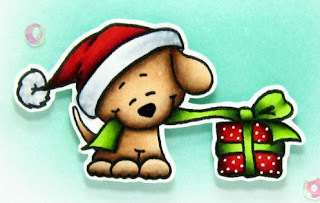 I used a white gel pen to create the polka-dots on the present and I used a black glaze pen on the puppy's nose. That cute sentiment is also included in this stamp set. I sponged Cracked Pistachio distress ink on the card and adhered the puppy and present with foam tape. I tied on a baker's twine bow and added a few sparkly sequins. Good morning! Today I'm sharing a card I made using a stamp set from Love Cynthia. This sweet little girl is from the Snow Much Fun stamp set by Love Cynthia. I don't see this set in her shop so it's either discontinued or out of stock. But there are lots of other adorable sets in her shop (and some digis too) so be sure to stop by and check them out. I colored the little girl with copics and then fussy-cut her. I diecut a circle and used some snowflake dp and white cardstock for a snowdrift. I also added a few enamel dots. Good morning everyone! 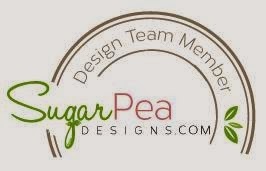 I have been a guest on the Your Next Stamp Blog for the past two months and it's been so much fun. But today is my last post for them and I'm sharing a "favorite". 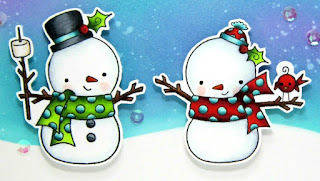 I'm sharing one of my favorite YNS holiday stamps today. I also love ink-blended backgrounds so I combined both of those for today's card. I sponged Peacock Feathers, Faded Jeans, and Chipped Sapphire inks to create the night sky. 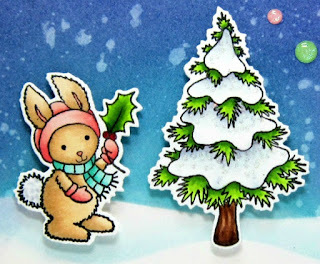 Then I stamped the little bunny and tree from the Frosty Friends stamp set. I colored them with copics and diecut them using the coordinating Frosty Friends Die Set. 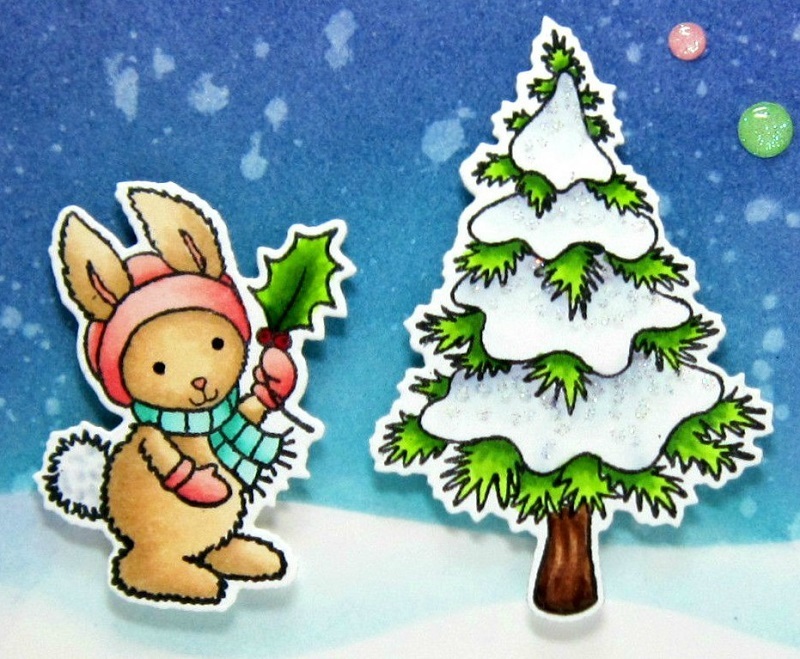 I absolutely adore that little bunny and I've used that stamp to make lots of cards and tags this holiday season. I added some Glamour Dust to the snow on the tree and I added a silver bow. I adhered some Winter Wonderland Sparkly Gumdrops to add some pretty sparkle to my card. Good morning! I hope you're all enjoying the weekend! 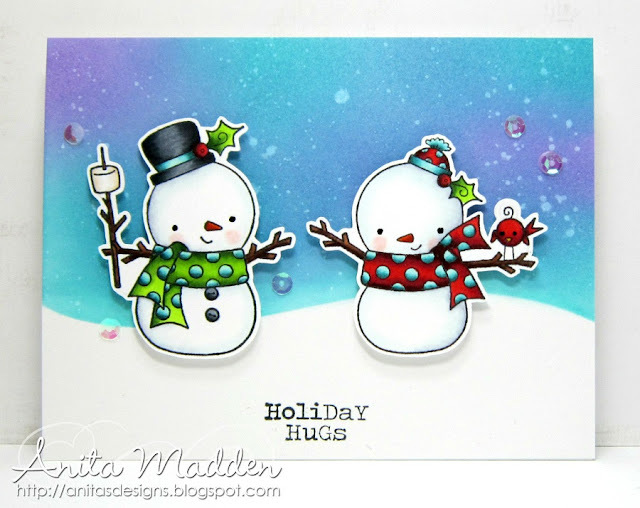 Today I'm sharing a card I made using a stamp set by Darcie's. I have had this stamp set forever and this is the first time I've used it. I don't know why I waited so long because this little snowcouple is adorable! These images are from the Warm & Toasty stamp set. I colored the images with copics and cut them out using my Scan N Cut. I used distress oxide inks to create the blended background and flicked some water for the lighter spots. I used a black glaze pen on their eyes and then added some clear sequins for some sparkle. Happy Friday everyone! 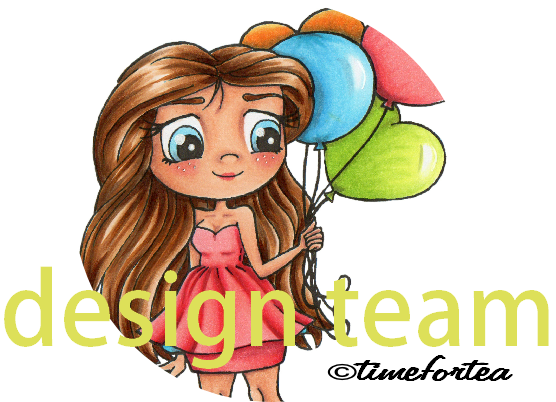 Today I'm sharing a card I made for the new Challenge over on the Your Next Stamp Blog. The theme for this challenge is "Anything Goes". Easy peasy! 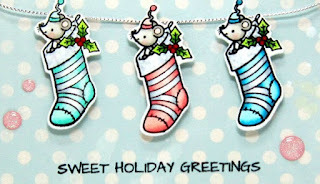 I used the cute stocking mice from the Holiday Mice stamp set. 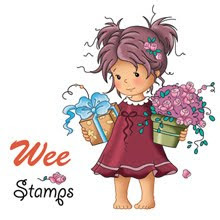 There are lots of adorable stamps included in this set so be sure to check it out! I colored the images with copics and diecut them using the Holiday Mice die set. I added a silver cord and "hung" the stockings on the cord. I added a few Winter Wonderland Sparkly Gumdrops to finish my card. 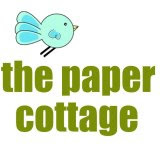 To enter the challenge you need to follow the theme and link your card to the challenge post on the Your Next Stamp Blog. 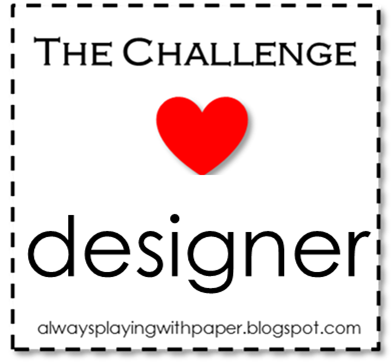 Also be sure to stop by the YNS Blog to read all the challenge details and to see the fabulous projects by the rest of the DT!